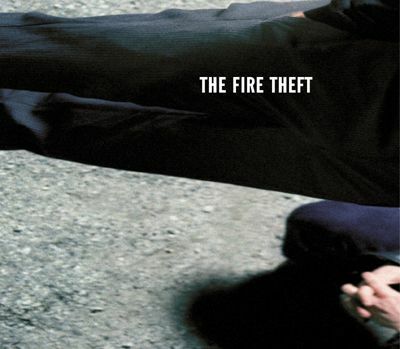 If Emitt Rhodes was the best album that Paul McCartney never recorded, then The Fire Theft is the best album that Sunny Day Real Estate never recorded. Except…that’s not an entirely accurate statement because, well, The Fire Theft pretty much are Sunny Day Real Estate, minus one member. 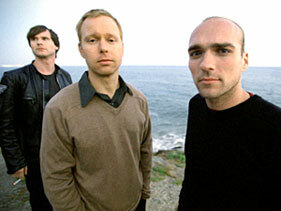 Sunny Day Real Estate was one of the best bands to come out of Seattle in the 90’s that nobody has heard of. 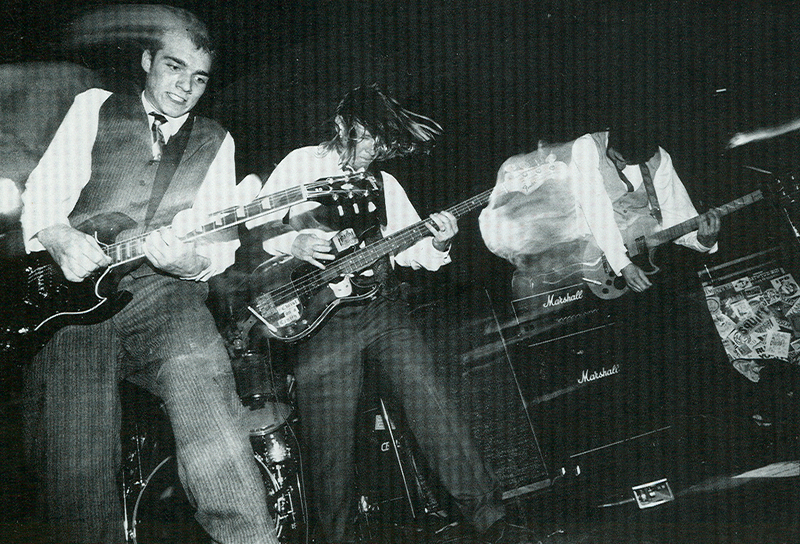 Often horribly mislabeled as the founders of “emo,” SDRE carved a truly unique niche in the 90’s Sub-Pop catalog and evolved to become significantly more artistically minded than any of their contemporaries. The band was never too concerned with recognition, they were notorious for shunning interviews and very little if any live footage of them exists, despite this medium being their primary pathway to whatever fame they did achieve. It is because of this and their similarly unmarketable decision to rename themselves that has led to the softening of their historical impact. Really, there is not much difference between SDRE’s “final” album, The Rising Tide, and The Fire Theft’s first album, other than slight personnel changes; both albums maintain three fourths of the original band. The real difference is the sound: play SDRE’s 1994 release Diary up against The Fire Theft’s 2003 eponymous debut and you’ll realize why people forget they are the same group. But perhaps the name change was necessary, because despite mainting the majority of members from SDRE, The Fire Theft is a significantly more mature band. Instead of simply crafting concise pop songs, vocalist/guitarist Jeremy Enigk, bassist Nate Mendel and drummer William Goldsmith constructed a real album. Complete with instrumentals, stacked vocal harmonies, string sections, samples, loops, and electronics all squeezed between intros, interludes, reprises and outros, The Fire Theft makes Diary seem like a demo tape. Because of this newfound adventurousness, when all is said in done, these are also the best songs the band has ever written. When, after the haunting instrospection of the album’s opener “Uncle Mountain” and the curious “segue” (or [p]reprise) which is the second track, the crashing beat of Goldsmith’s drums fall 1 minute and 10 seconds into “Oceans Apart,” and we begin to realize this is not traditional fare. The song continues to build for 3 more minutes until it stops, almost suddenly, and only later do we realize that these entire first three songs and 11 minutes have been serving as the album’s introduction. The sixth song on the album, “Summertime”, highlights the experimentation on this album. Enigk’s voice soars over the strings and keyboards when he takes his voice, powerful as ever, up an octave in the second verse. The familiar power of Enigk’s guitar is mixed with the previously unfamiliar strings and electronic loops that fade out the track. “Heaven” is probably the best track on the album, a track which effortlessly summarizes everything I have been trying to convey about the album. Enigk again uses his voice remarkably effectively on this track, and the ever-growing harmonies that begin at 2:22 bring it to an incredible climax before the band returns to the idée fixe of the album at 2:55 and then fades to a simple, lingering piano line. Yet, like I said before, despite everything else that makes The Fire Theft distinctly significant within the SDRE/TFT catalog, it is the magnificent songwriting that holds the record together. “It’s Over” is probably the best concise “pop” song on the record. The mix of Enigk’s insatiably catchy guitar loop, Mendel’s creative and every-developing bass support, Goldsmith’s unique drumming on the chorus, the band’s harmonies, their build to the chorus, and of course the totally unexpected ending of it all contribute to the song’s beauty in simplicity and lucidly illustrate a band that was not only meant to be, write and play together, but were destined to grow and mature together as well. 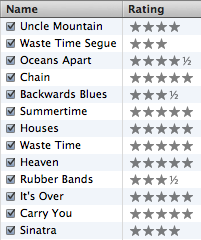 This album is the result. 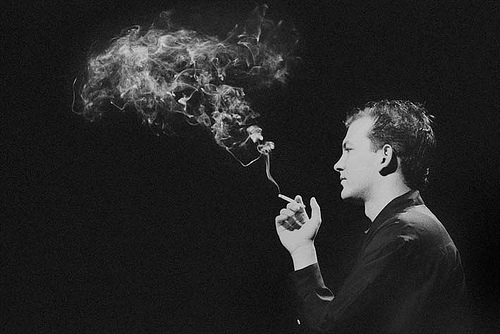 Mehldau’s skills go far beyond his technical abilities however, and the nuances of what is already an extremely established career are what make him a true genius. 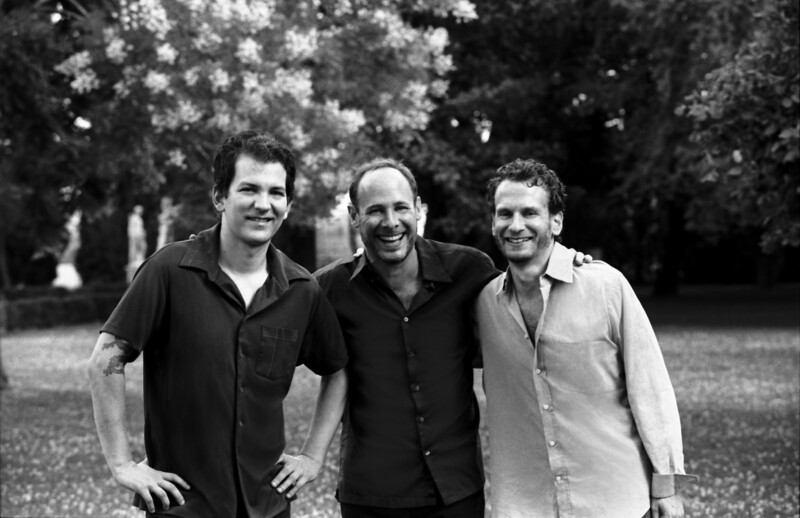 Along with Larry Grenadier on bass and Jorge Rossy (later replaced by Jeff Ballard), Mehldau has released a strew of trio albums in the last 15 years. Strongly in the vein of the classic Bill Evans and the more recent Keith Jarrett trio recordings, the set lists most often are comprised of standard interpretations. But what Mehldau has worked hard to do, and what has greatly contributed to his crossover success, is incorporate a new era of “standard” into his repertoire. The music of Cole Porter, Rodgers and Hammerstein, Harold Arlen and George Gershwin have become intermixed with the music of Lennon and McCartney, Nick Drake, Radiohead, Paul Simon, and even Soundgarden. Far from the kitschy or dubiously executed attempts by artists such as Herbie Hancock, Don Byron, David Hazeltine and Joshua Redman to do the same, Mehldau has exemplified an uncanny ability to interpret these songs in a way that makes them stand up to their classic counterparts. Besides having superb taste, his tasteful and selfless interpretations show that there truly are some incredible songwriters around today. This version of Paul Simon’s “Still Crazy After All These Years” is one of my favorite recordings. Mehldau realized that a melody as original and beautiful as this one stands on it’s own, and refrained from soloing over the entire form. Instead, after stating the melody, he takes the end of the form and builds it to a gorgeous climax whereupon the melody returns and sounds 10 times as beautiful as it did in the beginning. This moving interpretation certainly brings a whole new meaning to an already amazing song. Heavily influenced by the solo concerts of Keith Jarrett, especially the Bremen/Lausanne concerts, Mehldau has become a modern champion of the style itself. His approach is less cerebral and improvisationally based than Jarrett and others like Paul Bley, instead choosing to perform his solo concerts just like his trio concerts: with a setlist of standards and some originals. What he achieves by doing this is a distinct intensity not found in the playing of others. While the solo recordings of Jarrett and Bley have a more inward-looking and symphonic feel to them, Mehldau’s solo concerts play more like pop albums. This recording of Radiohead’s “Paranoid Android” is a great example of both Mehldau’s incredible interpretation skills as well as his intense solo performances. At the peak of the performance, Mehldau sounds like he is 4 different piano players at once, and the effect makes it seem like there is an entire band on stage. His approach is also very classical in nature, both structurally and technically. What begins with a simple melody statement in the exposition continues into a raucous development and ends with a technically flawless and heavily contrapuntal recapitulation. The result is a masterful mix of classical, jazz, pop and solo improvisation. 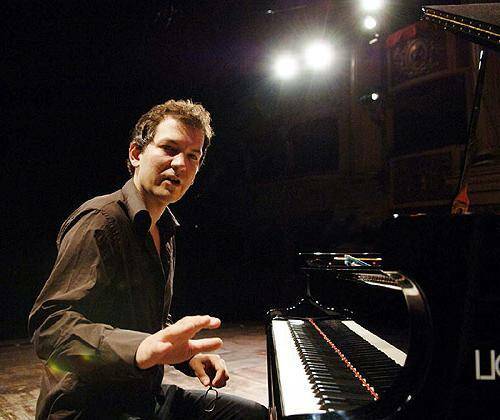 Other than his incredible technique and penchant for contrapuntal playing, the best evidence of Mehldau’s classical training is his motivic approach to soloing. It is by no means “original” to stick to a single idea as a basis for improvising, whether it be a launching point or a returning point, or both. However, to successfully utilize it in improvisations can be extremely tricky. It is very easy to make the use of motifs sound forced, contrived or even stupid. Mehldau, on the other and, has the ability to use this approach to such an effective degree that sometimes it takes far more than a single listen to discern that he is even doing it. On this track, which also showcases Mehldau’s excellent rhodes playing, he takes an extremely simple rhythmic motif and wrings it for all it is worth. If you listen carefully, from it’s initial debut at 3:34-3:35, it is constantly being thrown around until he finally digs into it once again at the end, around 4:38, almost as if to say to the listener, “have you noticed that this is pretty much all I have been doing?” What Mehldau achieves in this is to create a solo that is both well rounded and extremely intricate in it’s presentation. While Mehldau is most famous for his work as a leader, his most impressive work could arguably be said to be his sideman dates. Piano players have the distinction of being important as both leaders and supporters, because of their instrument’s flexible role. Some piano players have become famous solely for being leaders, such as Ahmad Jamal and Keith Jarrett. The former has few if any sideman dates, and the latter stopped recording as a sideman over 25 years ago, as soon as he could afford to. However, most pianists have become almost entirely associated with the leaders that made them famous. McCoy Tyner was “John Coltrane’s pianist”, Red Garland, Chick Corea and Herbie Hancock were made famous by their stints with Miles Davis (although only Garland had an undistinguished solo outing), and Joe Zawinul will forever be associated with Cannonball Adderley and Weather Report. On the more extreme side, pianists like Hank Jones and Wynton Kelly were known almost exclusively as sidemen. But, because of the role of the piano, these distinctions didn’t necessarily cost these players any renown: Jimmy Jones is one of the most famous piano accompanists of all time, despite only recording one far out-of-print 1950’s LP. Mehldau, on the other hand, has the best of both worlds. Not only is he one of the most succesful leaders in jazz since 1990, but he is an extremely gracious, selfless and effective sideman. As a supporting pianist, Mehldau has appeared with Joshua Redman, Charles Lloyd, John Scofield, Chris Cheek, Mark Turner, Kurt Rosenwinkel, Michael Brecker, Allen Toussaint, Willie Nelson, Jon Brion and many, many others. Content to be understated and introverted on his solo outings, he also understands the effect of a powerfully and flawlessly executed piano solo in a larger piece. This recording from Joshua Redman’s album Timeless Tales (For Changing Times) features Mehldau returning to the saxophonist’s group a few years after their initial quartet’s demise. It is clear that this modern arrangement of the standard “Yesterdays” was written with Mehldau in mind, because the way he approaches the unusual form and moves effortlessly into the duet afterwards could only be executed by such a masterful accompanist. This solo stands as a premier example of Mehldau’s skills as a sideman and is probably one of hist most incredible recorded solos. 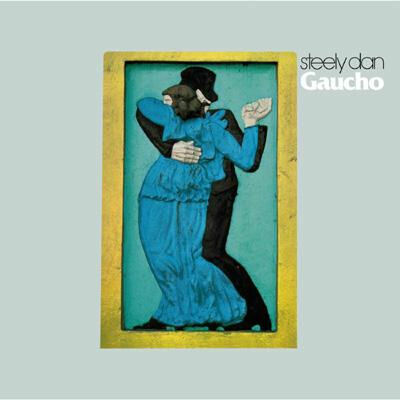 Donald Fagen and Walter Becker, more familiarly known as Becker/Fagen in this regard, account for almost one hundred percent of Steely Dan’s composing credits. 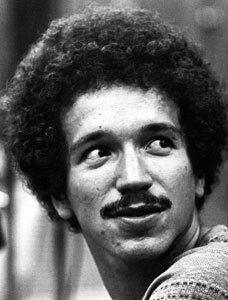 One of the few exceptions exists on the title track of the band’s 1980 release Gaucho, which includes the addition of piano player Keith Jarrett. The thought of a collaboration between Steely Dan and Mr. Jarrett probably makes more than a few fans drool, but unfortunately the song was not written on amicable or cooperative terms. MUSICIAN: Are you familiar with a Keith Jarrett record Belonging, particularly a tune called “Long as you know you’re living yours”? MUSICIAN: Have you ever listened to that up against “Gaucho”? MUSICIAN: I’m not casting any aspersions now, but in terms of the tempo and the bass line and the saxophone melody it’s pretty interesting. FAGEN: Off the record, we were heavily influenced by that particular piece of music. https://savagemusic.files.wordpress.com/2009/09/03-long-as-you-know-youre-living-yours.mp3 As far as Becker and Fagen go, this is a remarkably candid response, and for good reason. As their 1974 hit “Rikki Don’t Lose That Number” illustrates, the duo are no strangers to borrowing from their influences: the first 8 bars are an exact transposition of Horace Silver’s “Song For My Father.” Like many other artists, Becker and Fagen see such interpolations as intrinsic rather than insidious. It is at once both musically inherent and traditional to draw from music that one admires. But what is the difference between drawing from and stealing from others? Apparently, Keith Jarrett knows the difference: over $1 million dollars in royalties. So is there a difference between Jarrett and Silver? Where do we draw the line between influence and pilferage? Historically, the line is blurred. Beethoven “expanded upon” Mozart: The influence of Mozart on Beethoven was documented by the latter composer himself in sketches and notes. He even copied an entire section from Mozart’z 40th symphony and used it in his own 5th symphony. The eventual overshadowing of the 40th symphony by the 5th in the classical music canon shows that such unintended collaborations contribute to both the further development and increased popularity of music. The similarities between [the two] can hardly be avoided or ignored. During the early years of his career, Ravel was frequently and sometimes vehemently criticized for having copied Debussy, and it was only later that musical society began to realize that, in the realm of piano music at least, it was equally possible that Debussy had imitated his younger colleague. With the String Quartet in F, composed in 1902 and 1903 and then revised up to 1910, however, Ravel seems more certain to have relied on Debussy; as emotionally, psychologically, and even structurally different as the two works are, one could never accuse them of having a language barrier. Yet despite the cries of musical heresy, there was one person in particular who appreciated Ravel’s Quartet for what it was: Debussy. In a personal letter, he told ravel “In the name of the Gods of music and in my own, do not touch a single note you have written in your Quartet.” It remains one of the most often-performed string quartets of the last century. Bebop pioneers “developed contrafacts” from the Great American Songbook: Open the Charlie Parker Omnibook and you’ll find dozens of original songs that were staples of the bebop era. The only catch is that Parker and his contemporaries didn’t exactly compose the songs themselves, the chords were borrowed from “pop” songs of the day. To avoid the same legal action that later cost Steely Dan over $1 million, artists like Parker, Bud Powell, Miles Davis, Dizzy Gillespie, Horace Silver and Tadd Dameron, among others, constructed new songs out of the works of Cole Porter, Irving Berlin, Harold Arlen, George Gershwin, Johnny Mercer, and more of their contemporaries, as well as from traditional songs. These contrafacts exist today as staples of the idiom, as an invaluable base to an ever-developing style. Hip Hop producers “sample” anything and everything: Hip hop production is based almost entirely on sampling. 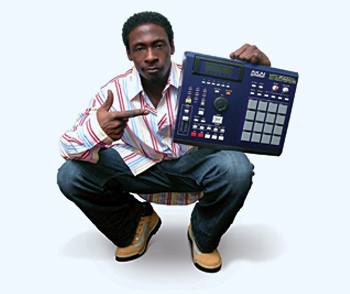 What started as DJing and spinning turned into modern beat-making: pioneers such as Prince Paul, RZA, Dr. Dre and DJ Premier composed beats for MCs that were comprised of parts of any vinyl they could get their hands on. What started as a combination of sometimes even more than 15 often unrecognizable samples in a song paved the way for instrumental artists such as DJ Shadow and Cut Chemist, who more overtly used samples to create their pieces. In more recent years, the style of sampling has become legally accepted, and after certain rights are obtained, producers like Kanye West create singles that are little more than exact copies of the songs they sample. In the most absurd example to date, Yusuf Islam (formerly Cat Stevens), Joe Satriani, and the band Creaky Boards are all seperately claiming that Coldplay’s hit single “Viva La Vida” was a copy of their own. These accusations (some requesting royalties, some not) exist despite the fact that “Viva La Vida” is an extremely simple melody that bears similarities to not just these other examples but also to the standard “Everything Happens to Me” and the them from Zelda. A professor of mine once scoffed at a famous musician’s claim that he was “self taught.” No one is self taught, he argued, we all get our influence from somewhere. And in most cases, even when it is blatantly obvious, it is generally understood and accepted. But sometimes, money becomes more important. The truth is whether it be stealing, adapting, drawing from, interpolating, interpreting or even blindly and unintentionally copying, drawing upon other artists for influence is the way music develops. Those who accept and admit this fact are essentially just admitting that they are real musicians, and the ones who deny it are only proving that money becomes more important than the art itself.